Our good friend Jim DuCanto visited us earlier this year. We spent several days sharing knowledge and perspectives. Part of our time together was spent recording this podcast. It has been simmering and is finally available for listening. Within, we briefly go through the history of the extra-glottic device (EGD) in general, and then, we talk about the Laryngeal Mask Airway (LMA) and its “descendants” in great detail. A 68 year-old man presents by squad with shortness of breath. He is noted to have a nearly quiet chest with very poor air movement, to be using accessory respiratory muscles, and to be slightly lethargic. Quick perusal of old records discloses a history of severe COPD, steroid and O2 dependence, HTN and ulcer disease. The squad reports that his O2 sat was 86% at the scene, improving to 92% on a NRBM and two nebs. His vitals are: p 138, r 22 and labored, bp 156/96, O2 sat 92% on a high-flow NRBM. His POC renal returns with a pCO2 of 88. His estimated weight is about 175 lbs. A decision is made to intubate. 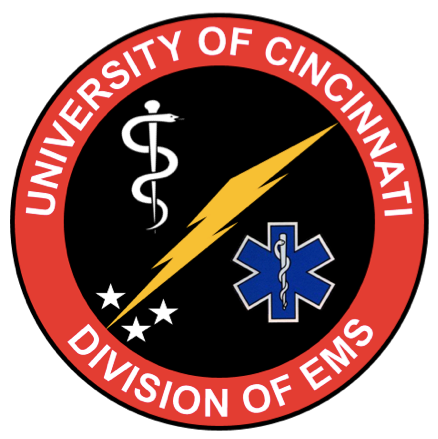 Recently, one of our FOAMed friends came to visit the University of Cincinnati. Jim Ducanto is well known for his innovations and general wealth of airway management knowledge. One wonderful thing that Jim shared with us during his visit was an airway mannequin that he “modified” to be able to puke…yes…puke. Not sort of puke…but REALLY PUKE!! Here is what Jim has to say regarding the motivation for building the device as well as lessons we learned while doing it’s “beta-test”. TracheOTOMY sites can close up rapidly (within hours). Why is this? Essentially, there is (usually) no missing tissue with this procedure. Occasionally the procedure does involve cutting a small section of the tracheal ring out but this is much less common now that percutaneous techniques are more in vogue The percutaneous technique involves, essentially, dilation of the skin, soft tissue, and trachea and, as such, these sites can close up very rapidly. TracheOSTOMYsites are less of of problem as they do involve the removal of tissue. If they are fresh, however, these sites can also close relatively quickly.